Fulltone designed the PlimSoul overdrive pedal so that you can achieve the huge sound of a stack with your combo amplifier, and Sweetwater guitarists can confirm that it indeed sounds huge. Two overdrive sections, one with smoother soft clipping and the other with brighter hard clipping, give you an incredible sonic range to explore. Blend the two overdrive stages so that softer passages sound smooth and liquid, while playing harder adds an amazing bite and presence. You'll be amazed at how responsive it feels, and you'll love the generous Level control that lets you push your amp into the red zone. 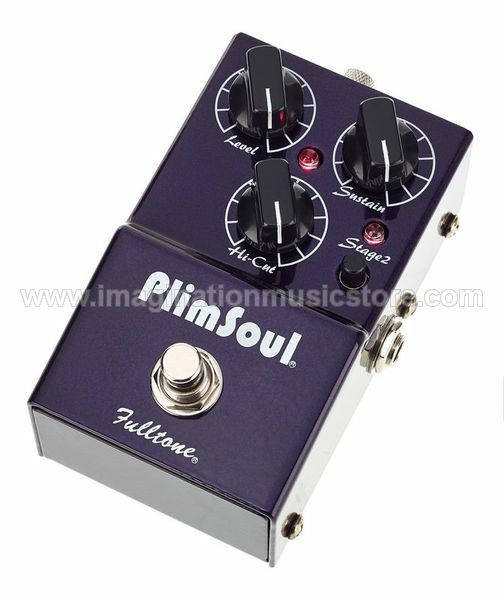 If you want maximum sensitivity and versatility from your overdrive/distortion pedal, then you'll be well served by the Fulltone PlimSoul.